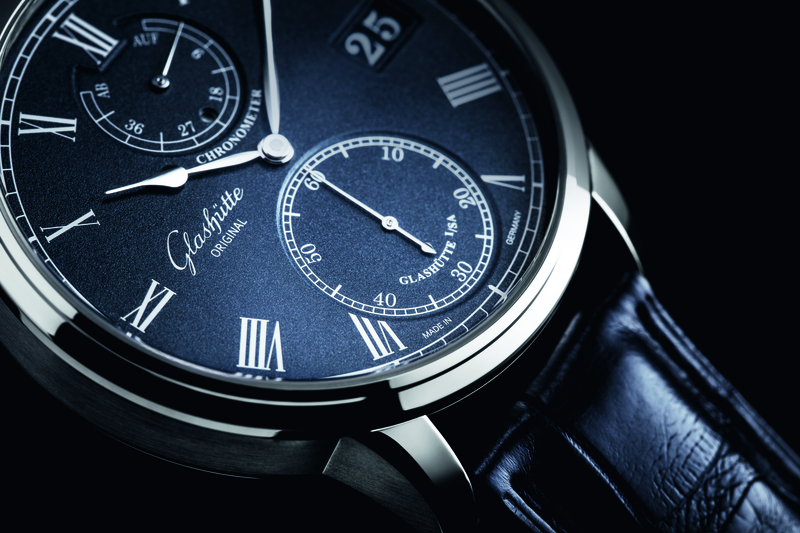 The new Glashutte Original Senator Chronograph Capital Edition measures 42 mm x 14.6 mm and is limited to 100 pieces in steel, 25 pieces in red gold, and 5 pieces in platinum. The dials are made in-house and come in either Bourbon Gray or Dry Ice for the platinum model. The brownish-gray sunburst is different from the standard color hues typically offered by watch companies, which may appeal to some. A power indicator is subtly integrated into the running small seconds counter at 9 o’clock which is a nice touch. Finally, the movement, caliber 37 which we photographed here, is beautifully embellished, although not to quite the same level you see from Glashutte Original’s neighbor A. Lange & Sohne. 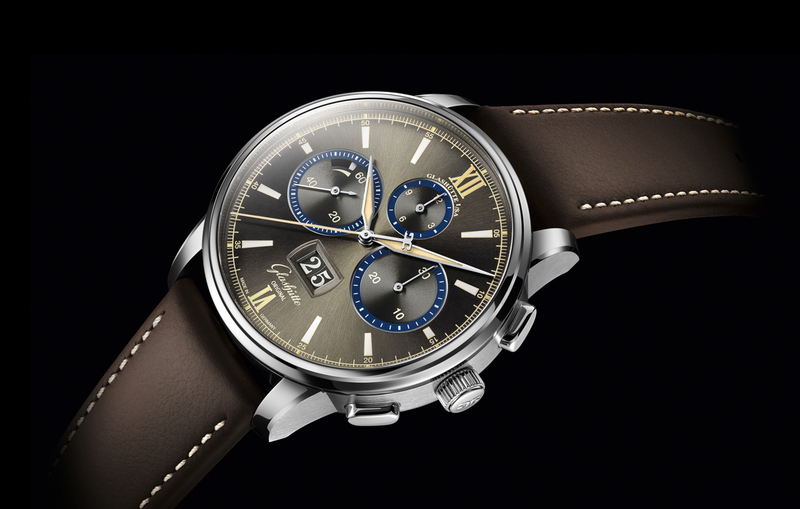 Retail for the Senator Chronograph Capital Edition steel version is $14,900 which is not so bad for an in-house column-wheel equipped flyback chronograph. But for rose gold, the price more than doubles to $31,500. And the platinum model comes in at an insanely high price of $55,000. Bear in mind an ounce of gold is currently selling for significantly more than platinum at $1,350 versus $1,000. And sure platinum is more dense so you can fit more mass of platinum in the same volume as you can with gold, but still, let’s be honest: charging $23,500 more for a platinum case compared to a case made of 18K gold is ludicrous. 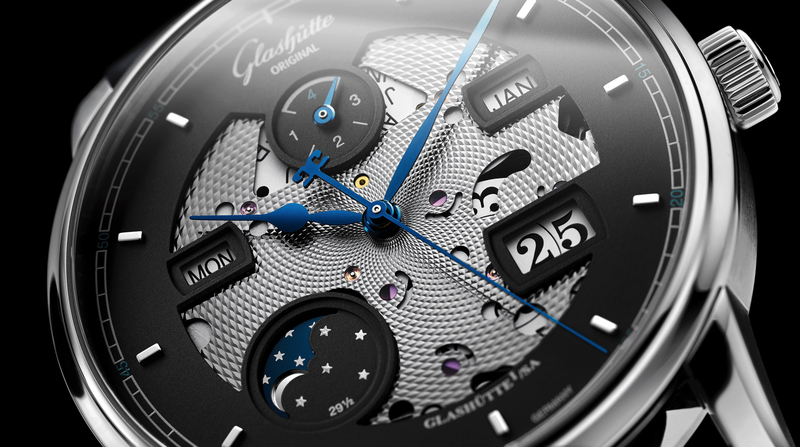 Learn more at Glashutte Original.